The next in line for Samsung's most premium Note phones is the much awaited Samsung Galaxy Note 8 which is set to release towards the end of September. According to the latest reports from VentureBeat, the Note 8 might be their priciest phone yet at around €1,000 ($1,119/₹72,000 approx.). The Samsung Galaxy Note 8 is said to come with a 6.3-inch AMOLED edge-to-edge infinity display, slightly bigger than its Galaxy S8 Plus counterpart making the split-screen operation much easier to use. It will also feature the same aspect ratio of 18.5:9. The Note 8 will be the South Korean tech firm's first smartphone with a dual camera at the back. It is said to feature two 12-megapixel sensors with independent Optical Image Stabilization for each lens! It will continue to utilize the same Exynos 8895 or the Qualcomm Snapdragon 835 chipsets - depending on the market, the same ones as the S8 and S8+. Although, this time, the Note 8 will come with a hefty 6 GB of RAM, making it only the second phone from Samsung to feature this much amount of RAM after the Galaxy C9 Pro. It will sport a small 3,300 mAh battery as opposed to last year's 3,500 mAh battery, most likely to avoid any repeat of the Note 7 battery exploding fiasco. Since then, Samsung has slowly been recovering its reputation and reassuring their users that their phones are safe by implementing an eight-point battery test! As always, the Note 8 will come with an all-improved S-pen stylus which is said to come packed with more features than its siblings. It can also pin handwritten notes onto the Always-on display. Also, the Samsung DeX support is said to be included as well which brings desktop-like appearance to the phone! The Note 8 is said to come in shades of blue, black, and gold. 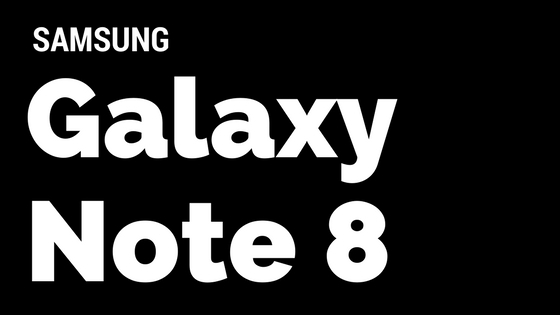 Are you excited for the Samsung Galaxy Note 8 release? Do share your thoughts with us via the comment box below.